PRC repairs how long do they take? Cornish type 1 houses take about 4 to 6 weeks. Most other PRC houses take between 7 to 8 weeks. Do I need to move out whilst the PRC repair is carried out? If you live in a Cornish, Reema, Airey, Unity, Wates or Stent you do not need to move out. Do I have a choice of bricks? There is a wide selection of bricks to choose from. Sometimes the Local Authority may give a limited choice. Do I have a choice of windows and doors? Windows and doors now come in many styles and different colours. We will give you full details. Can I have other building work at the same time? Yes we often complete other work for our clients, including, porches, taking internal walls down. Our clients are surprised at how much warmer their homes are once the PRC repairs are completed. All PRC repairs are carried out to current building regulations and inspections by the Local Authority Building Inspector. What is the condition of the internal walls after the PRC repair? Depending on the type of house some cracking to the internal walls may occur during the PRC repairs. 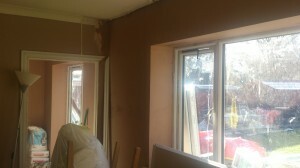 Before we finish any cracks are replastered and the internal walls are ready for decoration. How to obtain a replacement PRC Certificate? An inspection of your repaired PRC house will need to be carried out by a PRC Engineer to confirm which licensed repair scheme has been carried out. Arranging PRC Certificates for Airey Houses Leeds City Council Scheme? 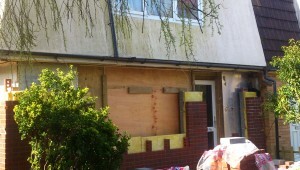 Many Airey houses in Yorkshire have been repaired by Local Authorities using the Leeds City Council Schemes 1 & 2. 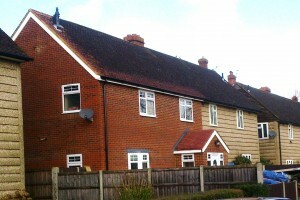 Most of these Airey houses were never issued with a PRC certificate at the time the PRC repairs were carried out. Most mortgage lenders will provide mortgages at normal interest rates for both schemes. Airey houses are usually semi detached, mortgage lenders will offer mortgages without both houses being repaired as long as a PRC certificate has been issued on the repaired Airey. The Halifax approved scheme and Leeds City Council type 1 PRC repair to Airey houses replace the concrete panel and posts to the external walls. You can upgrade to a PRC Homes Ltd scheme as long as the repairs are carried out to the groundfloor and first floor spine wall, a new structural party wall will also have to be built. A PRC Homes Ltd PRC certificate can not be issued unless these works are carried out in full. There is not a licence for partially completed works. 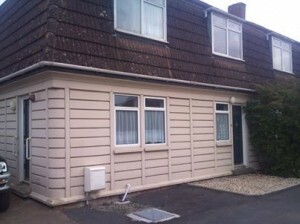 Both schemes are accepted by mortgage lenders at normal interest rates. What is a PRC Certificate? All PRC houses should be repaired under a recognised licence scheme from a Structural Engineer who will make inspections during the repair works and issue a completion certificate confirming the building works have been completed in accordance with the licence. Mortgage lenders will only offer mortgages on repaired houses with a PRC certificate. High street mortgage lenders have been requesting a copy or a replacement copy of the PRC certificate before lending on repaired PRC houses. If you are buying a repaired PRC house without a PRC certificate you will have problems selling or remortgaging in the future. 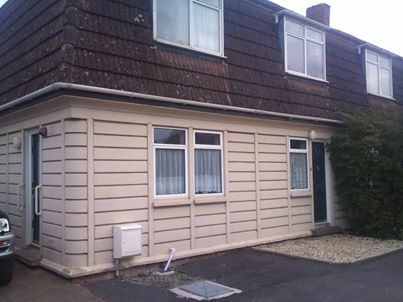 During the 1950’s there was a great demand for post war temporary housing and many Local Authorities built Precast Reinforced Concrete (PRC) council houses. The advantage was that being sectional and factory produced they were quick to build on site and did not require experienced tradesmen to assemble. Carbonation is when the atmosphere reacts with the concrete, (concrete cancer) this can lead to moisture which can cause the reinforced bars to corrode. Over time this can weaken the structure and lead to cracking in the concrete columns, once cracking starts this can lead to rapid damage. 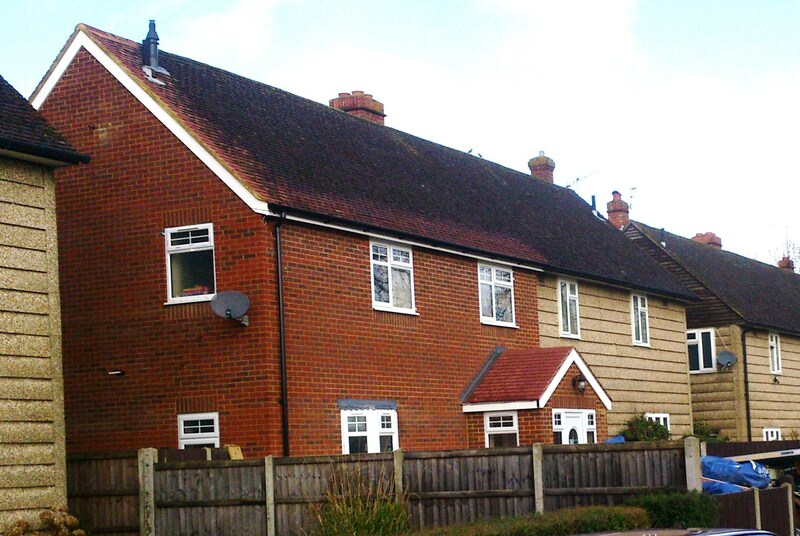 Many types of pre-cast reinforced concrete construction houses were designated defective under the Housing Defects Act 1984 and many High Street Lenders refused to offer mortgages on them unless they were repaired using a recognised PRC Homes Ltd repair scheme. 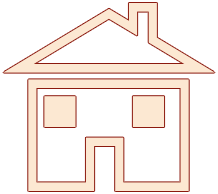 PRC Homes Ltd was set up as a subsidiary of the National House Building Council (NHBC) to set standards for the repair of PRC houses. They issued many licenses for the repair of PRC Non Traditional Construction Houses and these were generally accepted by lenders who still use these licenses today even though PRC Homes Ltd ceased trading in 1997. There are many licensed PRC repair schemes for each type of PRC house and the most commonly used are Curtins Consulting Engineers, Michael Dyson Associates, Kirkham Williams & Lewis (KWL) and Bureau Stocker Fitzpatrick.